I like my old Sweetwater Guardian water filter but I’ve been looking at a gravity filter for years as they are much less work. 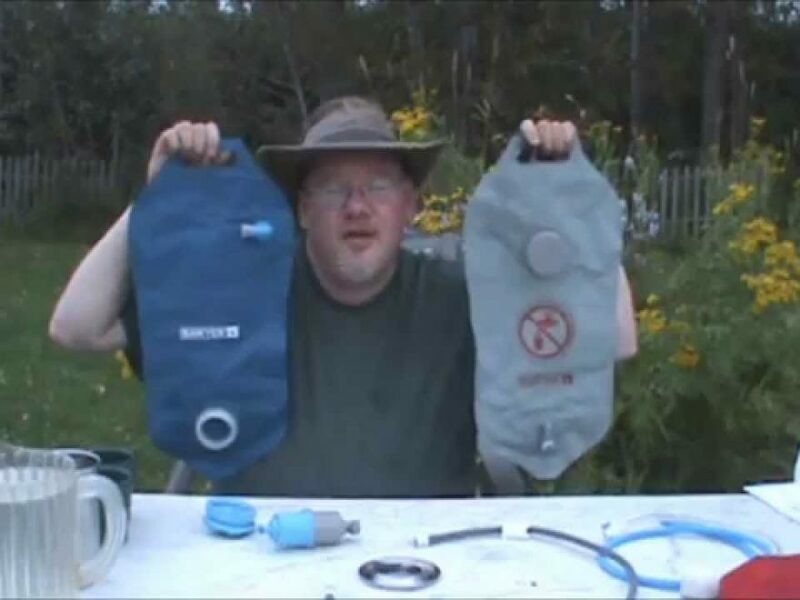 I considered the Katadyn and MSR gravity filters but I finally settled on a Sawyer system. Why? Because it’s the same price as the MSR GravityWorks filter but it can filter hundreds of litres of water per day, it has a one million gallon warranty, it’s a 0.1 micron (absolute) filter, and it requires NO replacement filter cartridges!